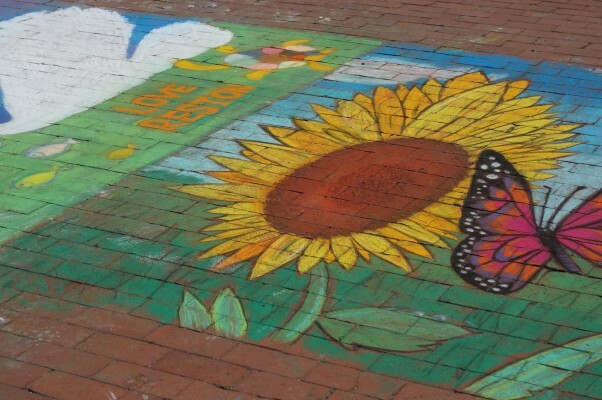 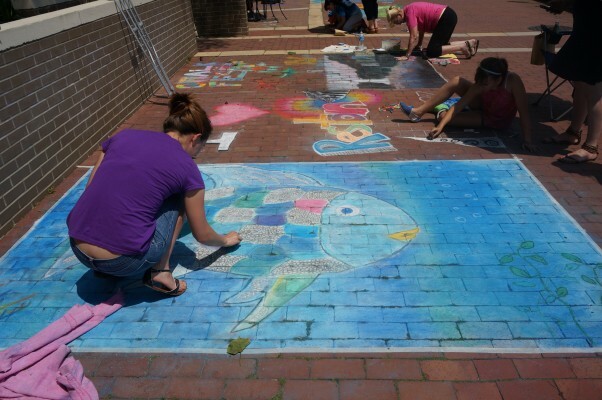 Dozens of artists took chalk to brick Saturday and Sunday at the inaugural Chalk on the Water festival at Lake Anne Plaza. 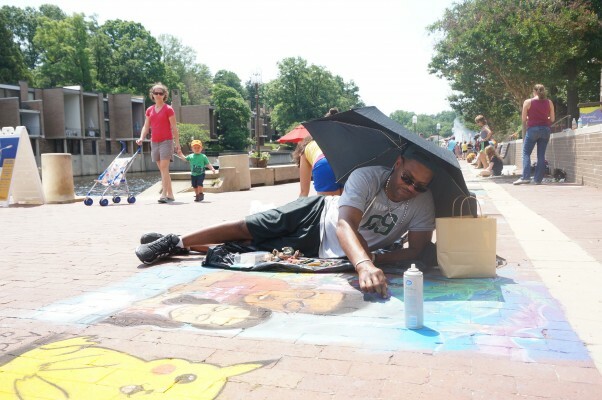 The event, organized by the Initiative for Public Art Reston, attracted professional artists and amateur artists of all ages. 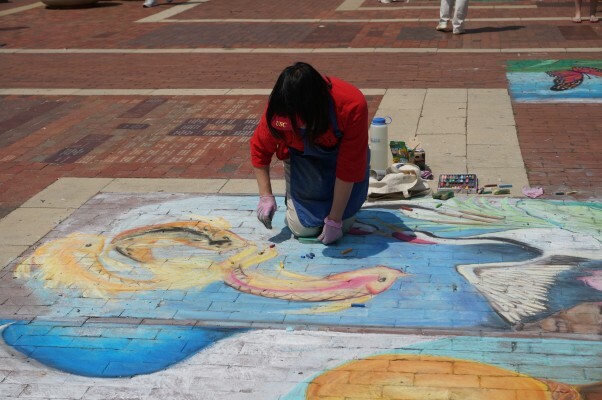 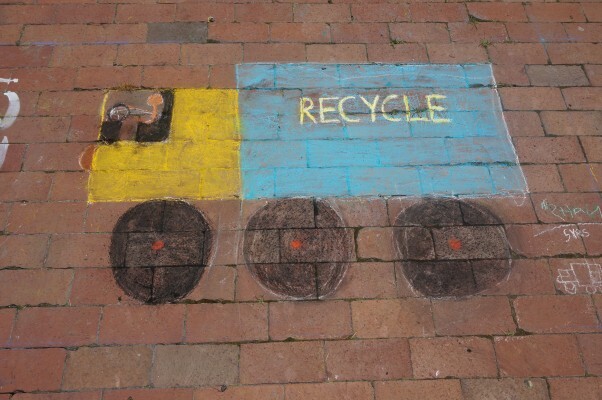 Participants paid to reserve space on the bricks on which to create the frescos. 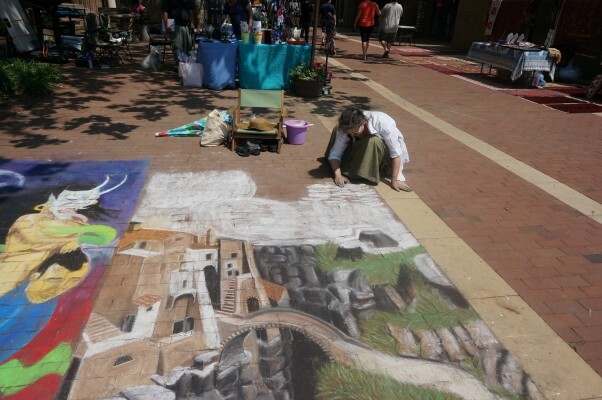 There were storybook characters and abstract designs, portraits and animals, among other renderings. 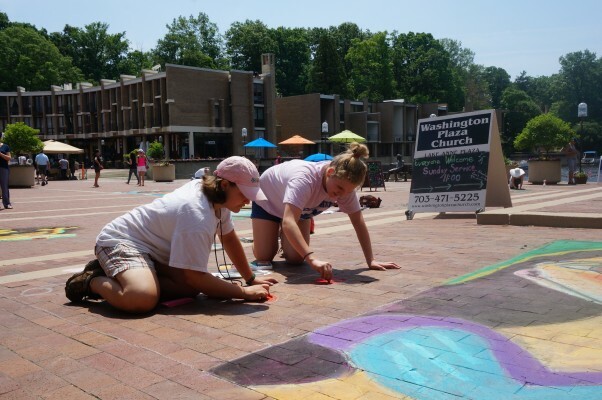 How long the murals remain on the plaza will depend on predicted rain this week. 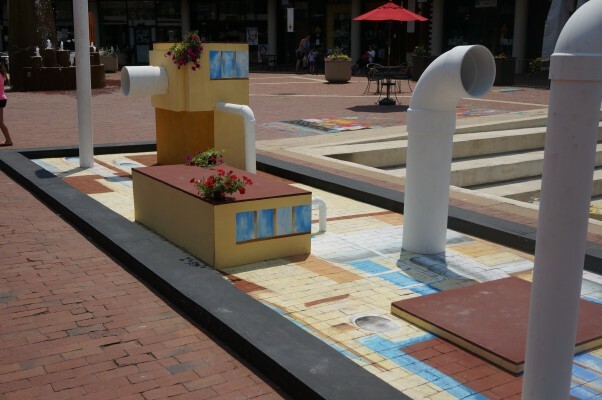 To see works from the winners, visit Lake Anne Plaza’s Facebook page.